Abigail Dillen never dreamed she'd be in an all-out legal fight against an administration hostile to climate protections. But that's where Dillen, the incoming president of the environmental law firm Earthjustice, finds herself: toe-to-toe with the Trump administration. "Did I imagine that we, as an organization, would be facing the kinds of threats that we're facing now? No," Dillen said in a recent interview. "I came out of law school at the very end of the Clinton administration, and the eight years under George W. Bush felt like an all-out assault on environmental protection across the board," she said. "But now, the basic norms are getting blown up." The New Mexico native was tapped last week to lead Earthjustice, which has more than 120 staff attorneys and a budget of nearly $80 million (Greenwire, June 14). The group so far has 95 cases going against the Trump administration. It frequently represents major environmental groups, including the Sierra Club and Natural Resources Defense Council. "What I hope is that the extremity of this moment will wake us up to the importance of regulation," Dillen said. "It's become a dirty word, but what regulation means is protection. I hope it will be a wake-up call to protect the courts and the independence of our judges." Dillen, who has been at Earthjustice for 18 years, initially worked on endangered species and public lands issues out of the group's Bozeman, Mont., office. She then became managing attorney of Earthjustice's coal program, helping file lawsuits against EPA over coal ash standards and wastewater discharges from power plants. She takes the Earthjustice helm on Oct. 1. 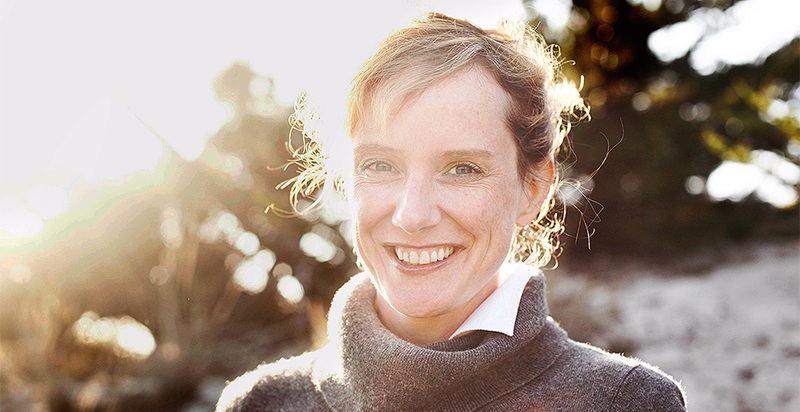 She will replace Trip Van Noppen, who has led Earthjustice for more than a decade. Dillen spoke with E&E News this week about her top priorities as president, the regulatory rollbacks that get her the most fired up and what she's reading right now. Did you always see yourself becoming Earthjustice president? I certainly never imagined being president. I came in as a law clerk, and from the summer I spent in our Northern Rockies office in Bozeman, I knew what I wanted to do, and I was just hoping to find a way to stay here. Being the president of this organization was the last thing on my mind for many years. Did Trip Van Noppen give you any advice? Tons. There are a couple things that stick in my mind. One is: "Earthjustice was built for this moment." I take that to heart, and I think my greatest contribution can be supporting and stewarding this organization that's so critical now. And his other advice is: "Keep looking for the possibilities. There's always more that we can do." So how you see your work during the Trump administration? At this moment, the courts are really our only check on a president who's using strong-man tactics and a Congress that's not stepping up to defend our democracy, much less our environment. The courts are the first and last recourse. We've filed 95 cases against this administration since Jan. 1, 2017. In less hostile administrations, there are lawsuits, too. But we're spending 100 percent more time trying to keep the government in check than we have in previous administrations. I want to make that clear. There are the big cases that get a lot of public attention. But it's important to understand that this administration, in every corner of it, is taking aim at protections that anyone should care about. Some of the most egregious areas are in the public lands arena. Which Trump administration proposal has you riled up right now? The thing that really has me at the edge of my seat is this idea of nationalizing our coal fleet and some of the nuclear plants. The idea of using wartime and emergency authorities to completely upend our wholesale energy markets, we'll see how [Secretary] Rick Perry's Department of Energy responds to the president's recent executive order. But we fully expect to be in court over that. What will be your top priorities as president? My top priorities will be defending our core environmental protections and access to the courts in this very dark time. Earthjustice has the scale and the experience to play a central role in that essential defense. I'm a huge champion of expanding our reach into state and local venues, where lawyers make a huge difference. When it comes to transforming our energy system and protecting our health, those are often extremely consequential forums. And I'm also interested in making sure that Earthjustice becomes a more equitable organization. Can you tell me more about how Earthjustice can become more equitable? First of all, the staff at Earthjustice for many years was predominantly white. So step No. 1 is to change that. And I think more profoundly, Earthjustice has suffered from the same failures that the environmental movement has of not recognizing how much racism in our society has dictated our priorities. If you look around the country, there have been national gains in terms of cleaning up air pollution and water pollution. But there are so many communities that haven't participated in those gains. They're overwhelmingly communities of color and low-income communities. And there comes a point when looking away from that reality is not a neutral act. It's perpetuating environmental racism. I was born in Taos, N.M. I grew up in Sacramento. And I spent a lot of time on the East Coast over the years and in Montana. I worked out of our Montana office for many years. I'm married to a brilliant architect named Jasmit Rangr. We have one little boy who will turn 6 in August. I just finished reading "Lincoln in the Bardo" by George Saunders. What I love about that book is Saunders' ability to channel the past. There are so many threats we're seeing right now that have precedents in history. I think it's a moment for my generation to see the lessons of the darkest moments of our history and rise to prevent them. So the book resonated with me on that level of feelings of personal responsibility at a moment of crisis in our country. I'm not comparing myself to Abraham Lincoln, by the way.